Cairo Paris Melbourne by Maher Abou Elsaoud. Black Pepper Publishing 2012. It is an interesting fact that, while Australian writers festivals and other public literary events and programs showcase and celebrate the work of writers from other countries, there is little exposure given to Australian writers writing in languages other than English. 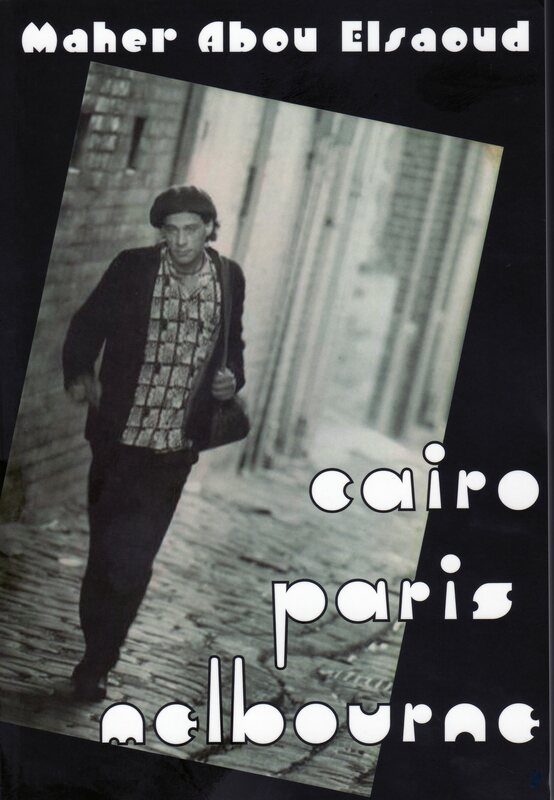 So Cairo Paris Melbourne, a translation of a novel by an Egyptian Australian writer who writes in Arabic, is a welcome addition by Black Pepper Publishing to the Australian literary landscape. Maher Abou Elsaoud has had works published in Arabic in Egypt and speaks English, French and Arabic, having lived in Egypt, France and Australia. His knowledge of those countries has provided him with the settings for this novel. He writes primarily in his mother tongue and with this book, worked on the English translation with his translator, Ahmed Fathy who lives in Egypt. So especially now that both travel and communication are easy and accessible, writers like Elsaoud can maintain and capitalise on links with their country of origin. Very different from the migrant writers of a generation ago who felt isolated and cut off and were barely recognised in their adopted country. Cairo Paris Melbourne has a first person narrator in a kind of English that retains traces of its origins. In some ways it reads like an autobiography although it is fictional. The structure of the novel, the absence of big chunks of time in the narrator’s life, is evidence of that. Elsaoud has studied film and written film scripts and the cuts are certainly understandable in filmic terms. It traces parts of the narrator’s life journey across 30 years, starting with an innocent childhood, along with hair-raising experiences as an eavesdropper, then through myriad difficulties as a transient worker and culminating in a cynical adulthood in Melbourne. There is however, an unexpected redemption at the end of the book which gives the narrative a satisfying closure. Most Australians have had the experience of being tourists in foreign countries and have even roughed it a bit. However, the experience of a poor kid from Cairo as a traveller, flying by the seat of his pants without money, no parents wiring cash to the nearest American Express, is altogether another and very brutal world. It has the kind of adventurous and optimistic spirit you find in Slumdog Millionaire but without the Bollywood gloss or the happy ending. Similar is the close bond between the male friends and their generosity and kindness towards each other. The young eavesdropper in the Cairo section of the book has warm and loving connections with older females but also witnesses monstrous incidents involving the abuse of women amongst the street people and this, along with the ubiquitous corruption, seems to partly explain his desire to get out of Egypt. He is idealistic, believing that opportunities and a better society await in other places. However, the character is eventually ground down by unjust and unfair circumstances. As well, while he can see the injustice of the treatment of women in Cairo, he finds he doesn’t have the tools to cope with Western gender relations in a way that can bring him happiness. The character insulates himself from the consuming, controlling, heartbreaking behaviour of the Western women he encounters by becoming a Don Juan and hanging out with the other disillusioned bachelors in a Fitzroy coffee shop. It is personal relationships that are in the foreground of this novel, not the places, as might be suggested by the title of the book. The relationships are depicted from a masculinist perspective that I found a bit grating. However, the book is interesting to read, the plot is not predictable and many of the characters are intriguing and lovable. Anna Couani is a Sydney writer and school teacher. Her most recent book is a collection of poetry, Small Wonders from Flying Islands Books 2012, with Chinese translations. http://seacruise.ath.cx/annacouani/. This entry was posted in Anna Couani, Black Pepper Publishing, Cairo Paris Melbourne, Issue 4 and tagged Ahmed Fathy, Bollywood gloss, literature, Slumdog Millionaire by Mark Roberts. Bookmark the permalink. This Book received a great Review in The Weekend Australian Sat 9th June 2012!! page 23. Maher A. Elsaoud is clearly a natural and very gifted writer!! !… There is much richness, aliveness and layers of love to be found within the pages of this book! Characters of the real world appear and frequent here. Let us keep a healthy perspective on the way this story is presented. Please Ms Couani lets give true credit to great talented authors where credit is due.